A renowned lyricist & storyteller, he has written three critically acclaimed albums making many album of the year lists as the singer-songwriter of Australian indie band Skipping Girl Vinegar. Mark was invited by legendary Canadian songwriter Ron Sexsmith to join his Australian tour before lunching his own solo show work at the Melbourne Recital Centre. 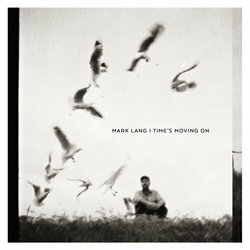 Mark releases of his debut solo work with a North American and European tour including appearances at the legendary Cambridge Folk Festival. Thrilling audiences from the main stages at Australia’s premier festivals including Bluesfest, Port Fairy Folk Festival, Splendour In The Grass, Woodford Folk, Falls Festival and many more. Mark’s work has received extensive airplay on major national broadcasters Triple J, ABC, Double J and community radio, as well as US college radio play with 7 weeks in the Top 100 CMJ charts, 46 top 10s and numerous #1 & #2 positions across the US. Time’s Moving On is "a celebration of love", breaking free from the past, pushing forward and remembering to hold the ones you love close. Recorded in his back shed between surfs in the small Australian coastal village he calls home. Mark Lang is currently on a Canadian/European tour.